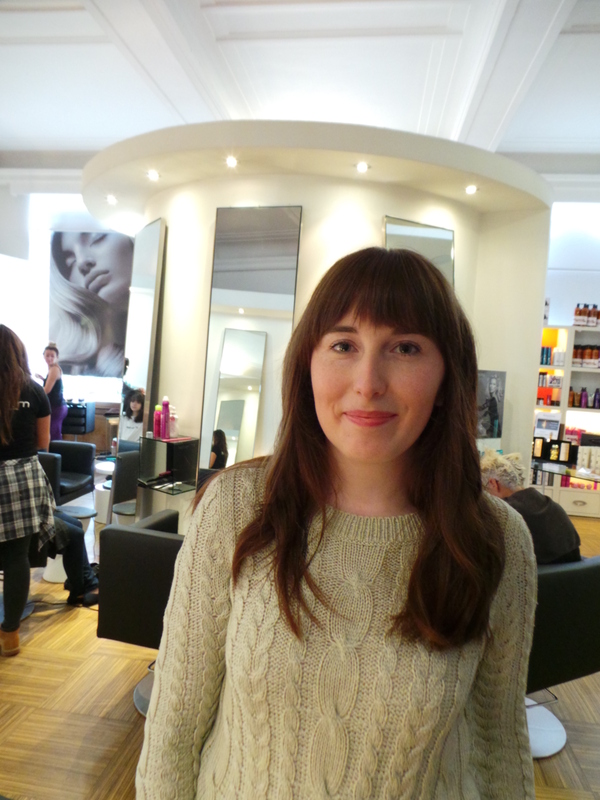 So last week I went along to the Alison Stewart Hairdressing Salon in Kirkcaldy and was treated to a free (for review) cut and blow-dry with a head massage thrown in. Obviously it had been a while since my last haircut and I was ready for a change so I walked into Alison Stewart feeling excited about how I would look when I walked out. 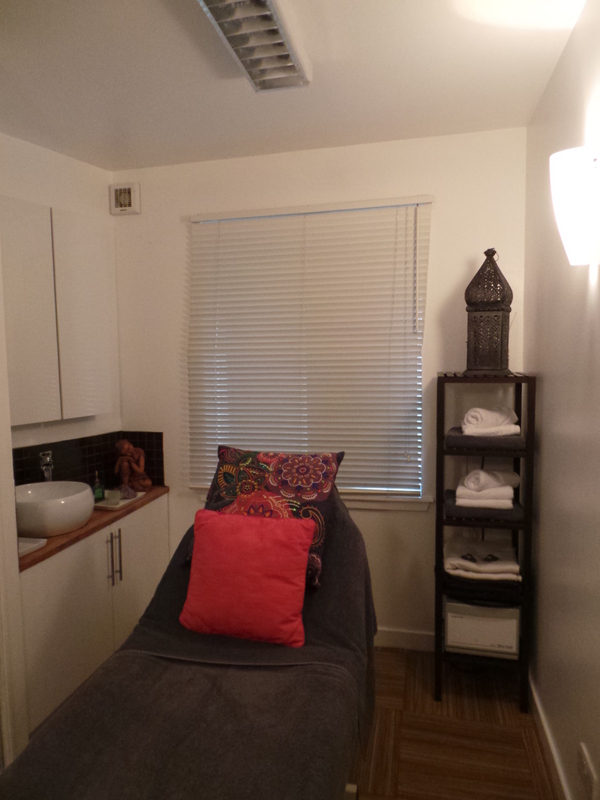 The Salon looks impressive outside and inside it is stylish, bright and modern. I knew just from the decor that I would be treated well here. 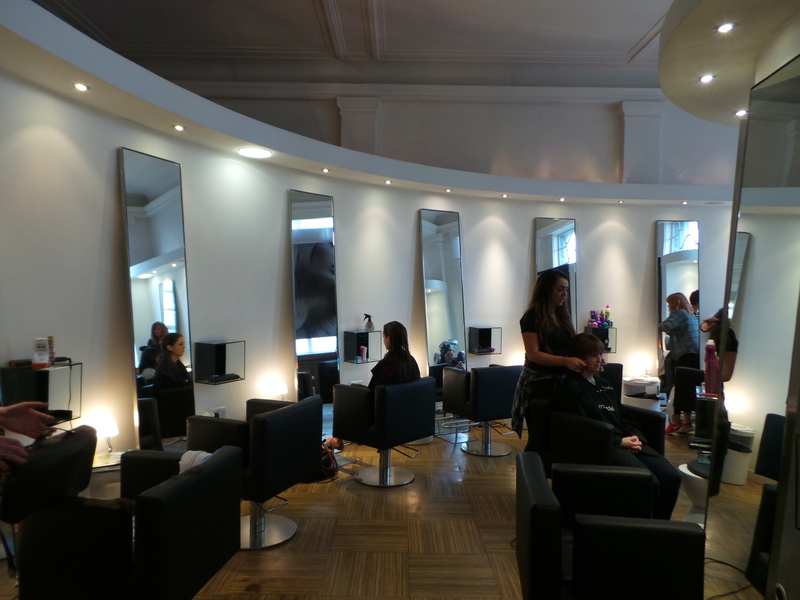 Clearly a lot of thought went into the layout and design of the salon to make it inviting to customers. Just to the left of reception was an incredibly well stocked display of the professional products that you can buy from the Alison Stewart salon. The salon floor was laid out in an attractive half-moon shape. I really liked this minimal look, hair dressing salons are always busy bustling places but this clean no fuss look promoted a more relaxed atmosphere. 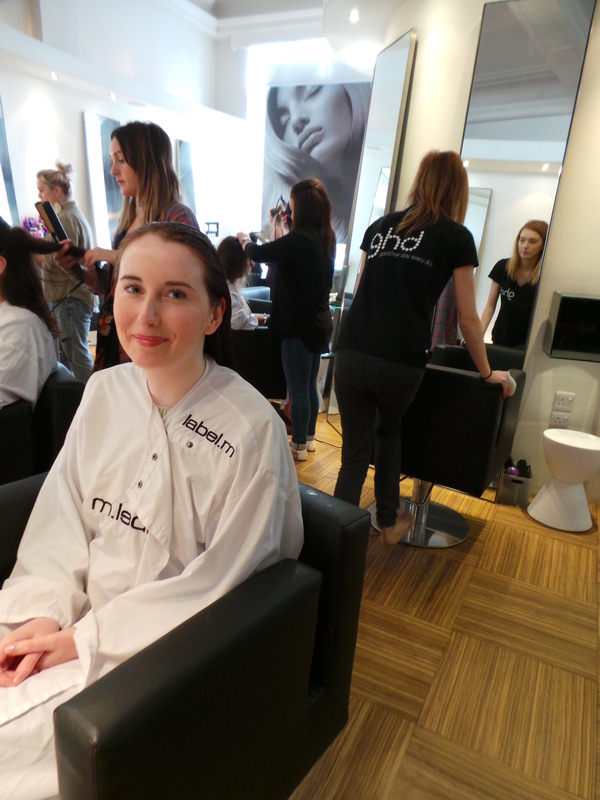 This coupled with the relaxing effect of my head massage had me feeling comfortable, calm and not nervous at all about getting all my hair chopped off. I was very surprised when I realised it had taken an hour and a half for me to get my hair done. The relaxing setting and comfy chair meant that I wasn’t counting down the minutes until I could leave. I only felt like I was there for 30 minutes or so all in. My boyfriend/photographer for the day probably felt differently about the passage of time but the staff made him feel very welcome and we were both asked a couple of times if we would like tea or coffee etc. 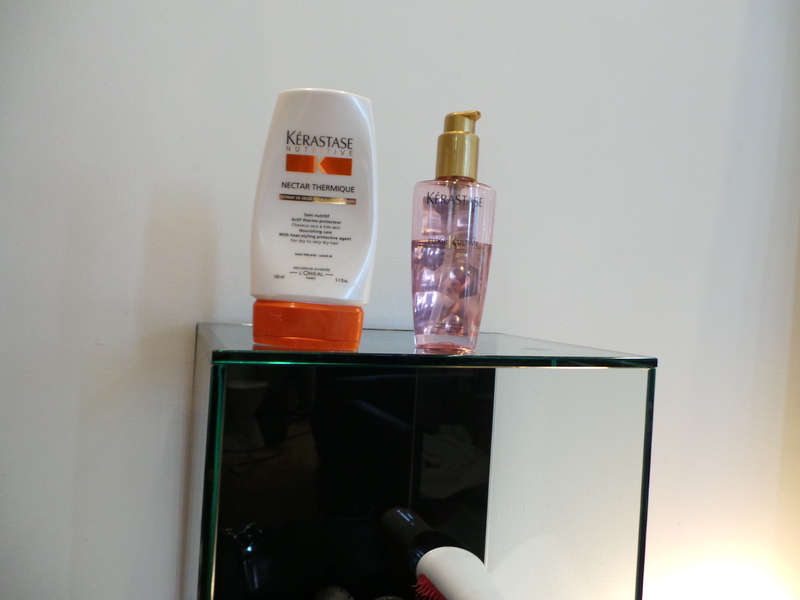 My stylist, Mairi, used the below products from the Kerastase range on my hair. I can honestly say my hair was the softest I have ever felt it, even two days after getting it cut, so I might invest in some Kerastase products to use at home. As a bonus they smell great as well as working wonders. Mairi used Nectar Thermique on my hair, a leave-in nourishing cream for use with heat-styling and Nectar Ultime with Imperial Tea Extract – this is actually a beautifying oil aimed at colour-treated hair and my hair has no colour in it, I just leave it natural – but Mairi had already worked a few wonders by this point and I was very happy with the end result so I would use this again. 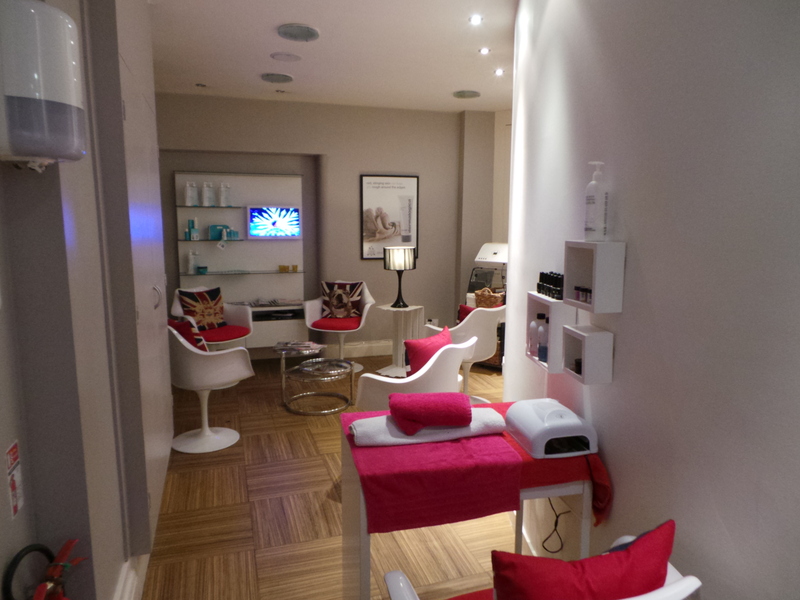 After my haircut I explored the Salon (told you I didn’t feel like I had been there long) and found a chic beauty area for nail and beauty treatments: There were also gorgeous treatment rooms with showers! 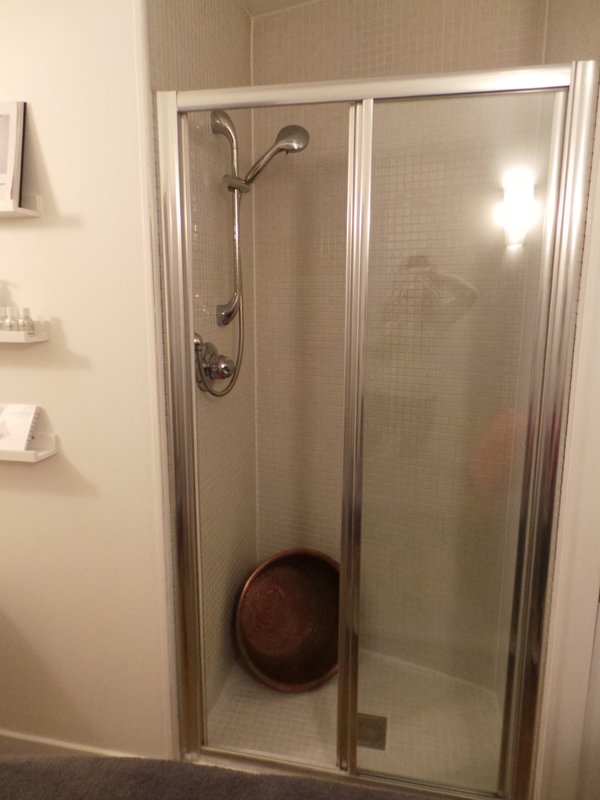 This is the first salon I have been to that has showers.Showers are obviously perfect for washing off massage oil and leg wax so all beauty salons should have them. I was really impressed with this. Overall I really loved my experience at Alison Stewart, I was treated like a VIP and I’m certain that is the way that they aim to treat all of their customers. Not only did Mairi give me a great cut (exactly what I wanted) but she talked me through each step in caring for and styling my new do and gave me a booklet with personalised recommendations for hair care products to take away with me. Even though I would have to drive for an hour I would definitely go back. The service and results are well worth the travel time. 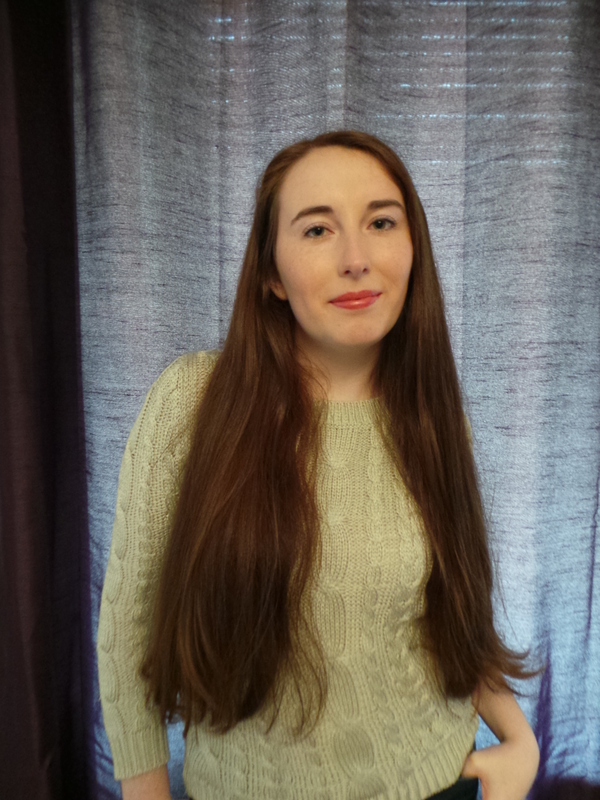 I was lucky enough to receive my cut and blow-dry for free but for anyone wondering, the cost for my cut & blow-dry, head massage and styling products used was around £53.00 – not bad for a new do, some pampering and a lesson in hair-care all from a Salon Director. 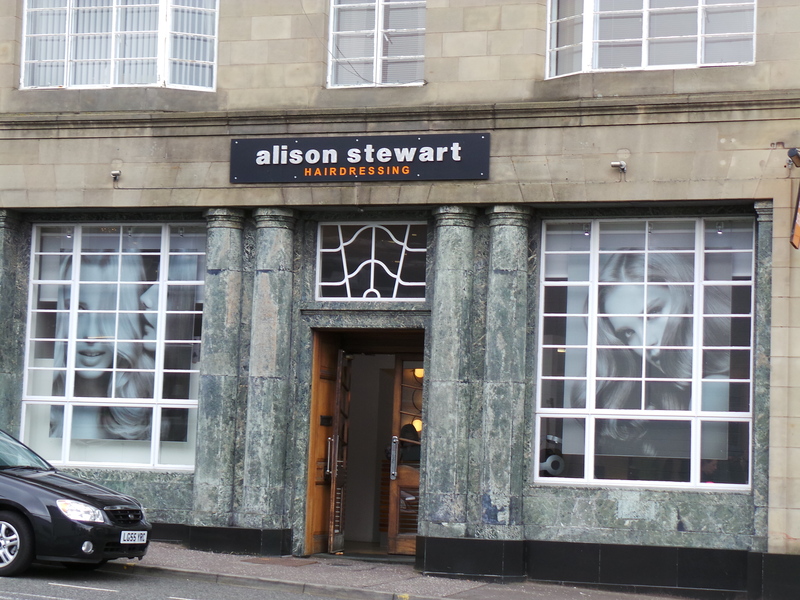 There are currently 2 Alison Stewart Hairdressing Salons, one in Kirkcaldy and one in Glenrothes so if you live nearby you should definitely pop in for a trim and experience the Alison Stewart Treatment. I would like to say Thank You to Alison Stewart and Mairi for inviting me to the salon, treating me well and giving me a great new look. I would also like to thank Kelly Jones at AJPR for making this opportunity available to me. Wow, the result is wonderful!